Morrex.com Review 2019 – Scam or Not? Today, we will be looking into one of Canada’s oldest exchange website that has been operating non-stop to provide exchange services to the people in the region. Morrex.com is a spot exchange website that offers BTC, and other alt coin trades. Join us! And experience the features of their website firsthand, know what their general use is, and know what it takes to have a verified account with them. Without further delay, let’s talk about that! The website has been operating since 2013 and offers its services to Canada only. This means that people that do not have access to government-issued ID and local phone numbers are unable to have a verified account with them. 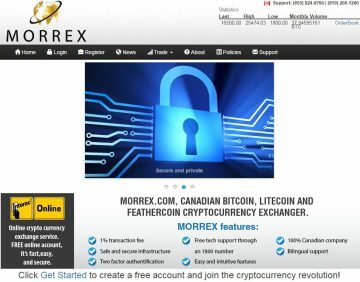 What’s great about Morrex.com is that they are regulated and has two licenses respectively from the Financial Transactions and Reports Analysis Centre of Canada or better known as “FINTRAC” and “AMF”. 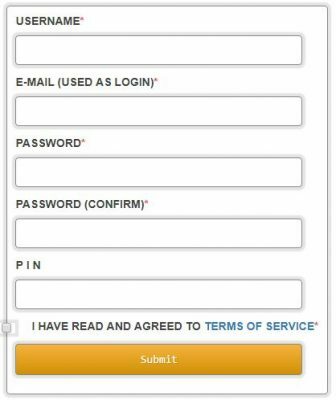 To create an account, please click this link to be redirected to their registration page. 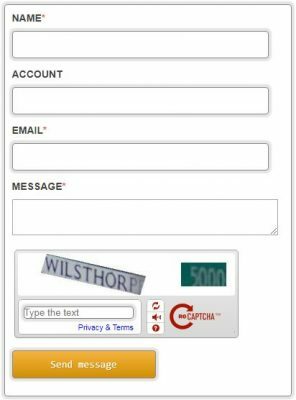 To register an account, a username is required, active email which will be used as login information, password for your new account, and a 4-digit PIN code. Once all of the information has been provided, click on Submit and a confirmation email will be sent out. Can a user not undergo the verification process? The answer to that is YES. Trade can still be done as long as this is within crypto deposits and withdrawals. How do users verify their accounts? To verify an account, the user just needs to click this link. Unverified – Unverified accounts have a CAD $1,000 limit per month. 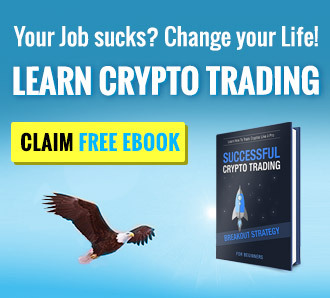 Verified Level 1 – Limit is CAD $50,000 per month. Deposit options accepted are Interac Online, Cash, Wire Transfer, Interac EMT, Bill Payment, and EFT. Verified Level 2 – Limit is CAD $150,000 per month. Deposit options accepted are the same with verification level 1. Though we were unable to clarify on how the website stores clients funds, we found out that one of the websites features is having a Two-Factor Authentication system enabled for registered user’s accounts. Aside from their 2FA capabilities, there’s nothing else worth mentioning. One thing that is taken for granted in most of our reviews would be the account interface. We took the time to create a separate subtitle for this website since it is worth mentioning. Their account interface is easy to understand and has all the information needed in one page. 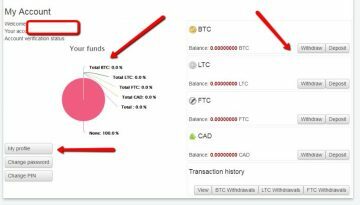 Here the user is able to see the distribution of the total funds including BTC, LTC, CAD and the total of everything in a pie chart. On this page, the user is also able to withdraw and deposit funds easily without any hassle at all. What we noticed about the website is that even if we haven’t completely finished the verification process yet (at this point we are not sure if they had one or not) we were able to look into their exchange platform without any problems at all. What we can say about it is that the platform is great, it does not have that much fuss and it is straight to the point. To use the exchange platform, just simply choose which transaction you want to make. 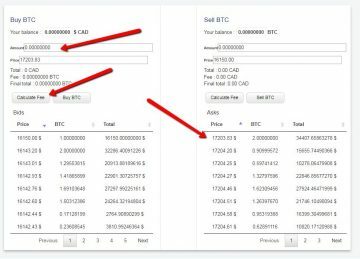 First, the user needs to select between BTC, LTC, and FTC on the drop down selection box under the “Trade” tab. Once this has been chosen, a separate tab will automatically open for you and the platform will be ready to use. Choose if you want to purchase/sell the crypto and enter the amount needed. The price of the crypto will automatically change depending on the current price of it. Once the amount has been placed, click on calculate fee to get the total amount needed to be settled. Written all over their website is that they charge 1% transaction fee for buying and selling crypto. Compared to international exchange websites, Morrex.com charges higher than them. Since we’ve been writing region-based exchange reviews we noticed that most of the transaction fee is around 1% per transaction, have you noticed that too? We’ve been talking so much about the website’s features and how to trade that it would be perfect to talk about how to get our money in and out of the website. To deposit and withdraw Fiat (CAD) the user needs to have their account verified. The verification process was already mentioned above, so if you missed that, we’ve mentioned a few things that you might want to consider. What’s great is that they do accept both Fiat and Crypto deposits. To see the complete list of supported financial institutions in Canada, please click this link. Here at Morrex.com they have two different customer support channels which are email support and phone. Customers can contact them through info@morrex.com and their local phone can be reached at (819) 200-1260, Toll Free number is at (855) 824-8766 and FAX number at (819) 200-7699. Their mailing address is Morrex Inc., 2235 Galt Ouest, CP 34024, Sherbrooke, Quebec J1K3C5. To get their complete contact details, please click this link. Compared to other international exchange websites, Morrex.com actually is great. It is easy to create an account with them even if you are not from Canada. Most of the region-based websites today that offer exchange services would have this invisible wall of citizenship that hinders outsiders from even looking at their trading platform, with this website, we didn’t have that issue. They also have a great customer support which they claim has a bilingual coverage. Overall, the website is not that bad at all. We would like to hear from you guys on what you think about the website on the comment section below.